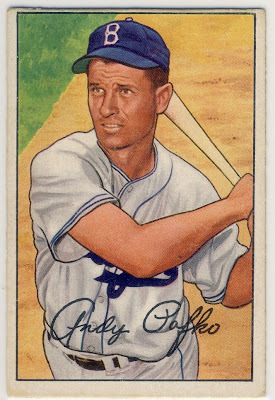 Everyone knows the iconic 1952 Topps card featuring Andy Pafko as it is one of the most famous baseball cards ever produced. 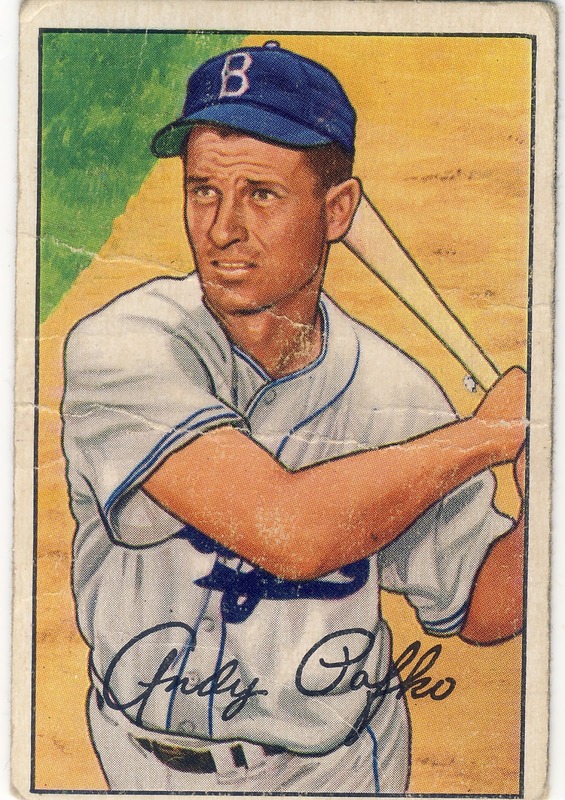 However, Pafko has an equally beautiful card from the 1952 Bowman set that gets none of the attention of its Topps counterpart. 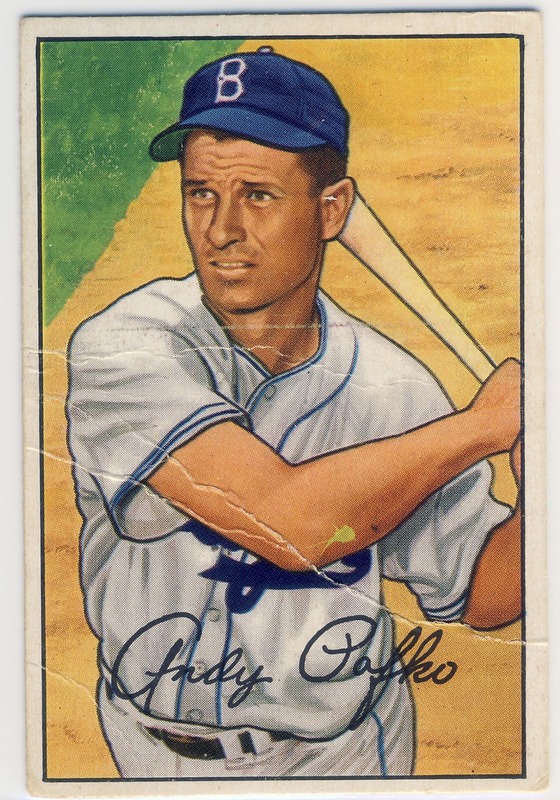 The 1952 Bowman set was the last Bowman set to feature painted versions of photographs as the 1953-1955 sets all used color photography (except the black and white series Bowman produced along with the color version in 1953). 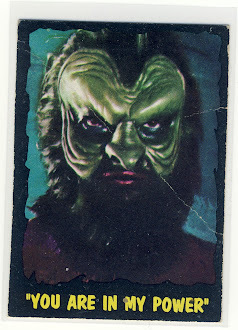 Pafko's card features him in a posed swinging position with his body facing the camera. 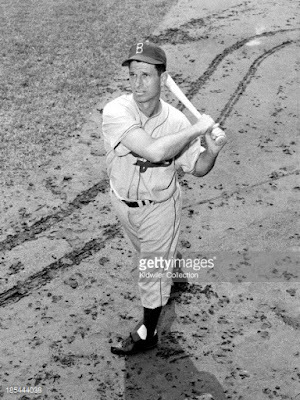 Searching around I found the original photograph that inspired the card and I love how the background was drastically changed by the artist for the baseball card. Andy was originally standing in a field of mud with what looks to be animal or bird footprints all around him. There is also a set of wheel tracks cutting across the whole photograph making it one of the oddest Pafko photographs I've ever seen. 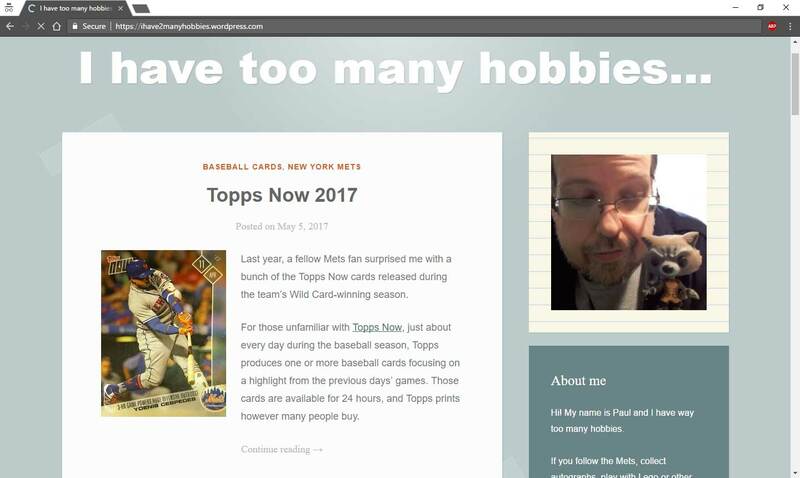 In total, I own three '52 Bowman Pafkos. Two have very visible creases while the first one featured in this post is in pretty good condition (although it is slightly miss-cut). While Andy's #1 1952 Topps easily cracks $150 for even the most damaged and messed up card imaginable, his 1952 Bowman is a bargain at $20 for a very high quality example and only a few bucks for cards similar to the condition seen below.